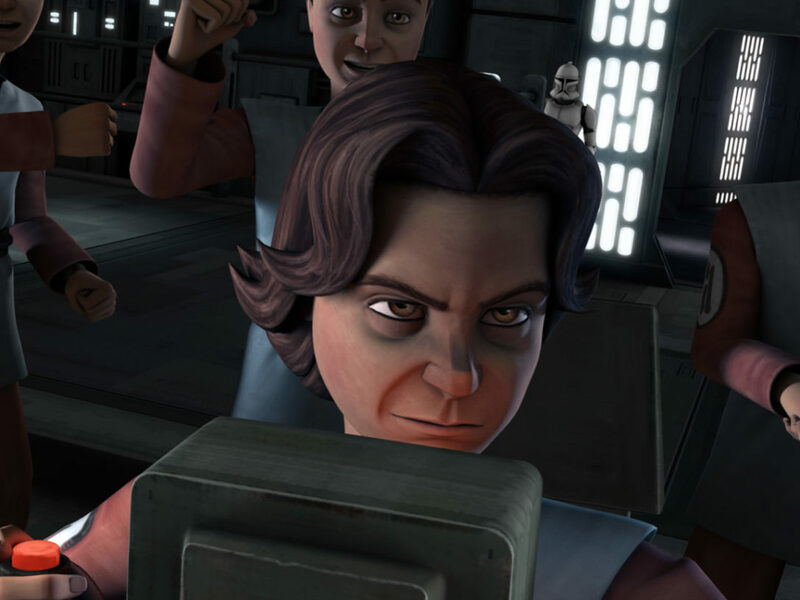 Ahsoka and Barriss are ready to sacrifice themselves for the greater good, but Anakin never gives up on his Padawan. 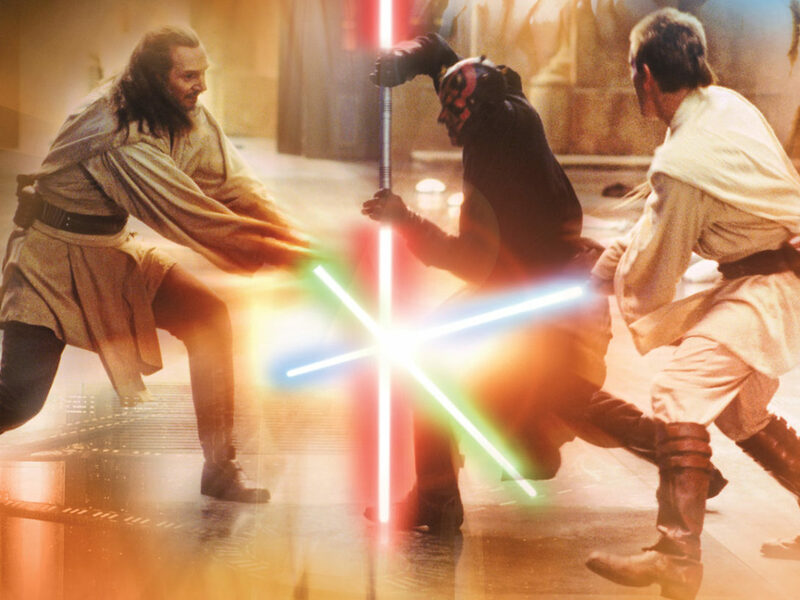 Anakin, Ahsoka, Luminara Unduli, and her Padawan, Barriss Offee, lead a mission to destroy a droid factory on Geonosis. 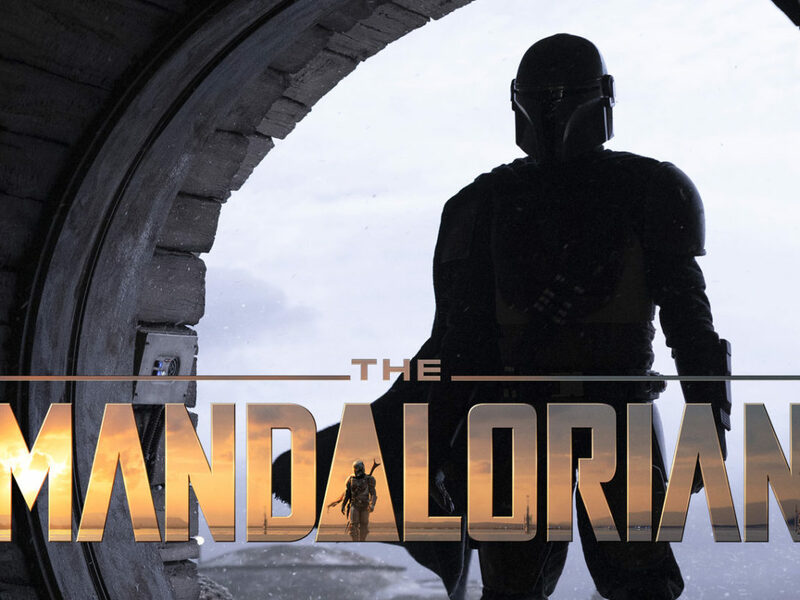 While the masters act as decoys diverting a group of super tanks, Ahsoka and Barriss infiltrate the plant via a labyrinth of catacombs beneath the city. 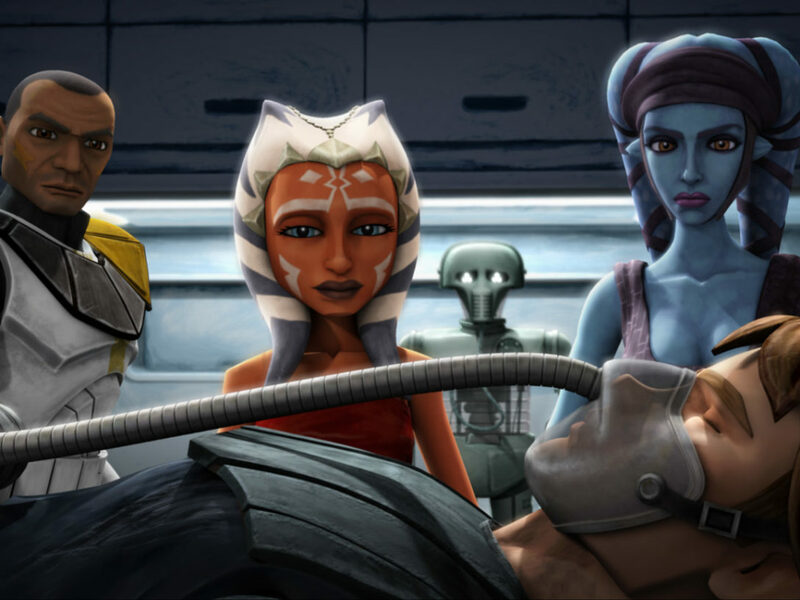 Together, Ahsoka and Barriss are ready to make the ultimate sacrifice for the greater good, destroying the plant while almost certainly dooming themselves to death by suffocation, buried far below the surface. But, hand in hand, they never lose hope. 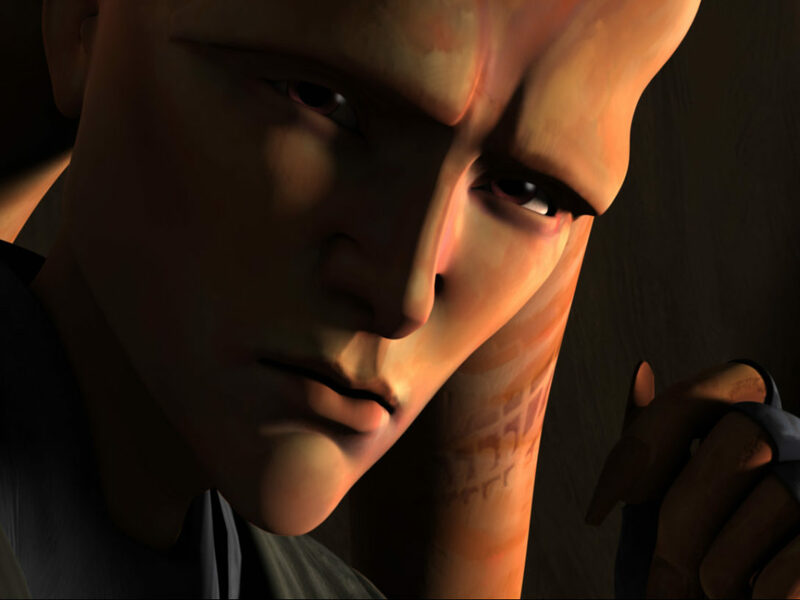 Ahsoka has faith that her master will not leave them for dead, and she’s right to believe in Anakin and his legendary levels of attachment and bullheaded perseverance despite dismal odds. 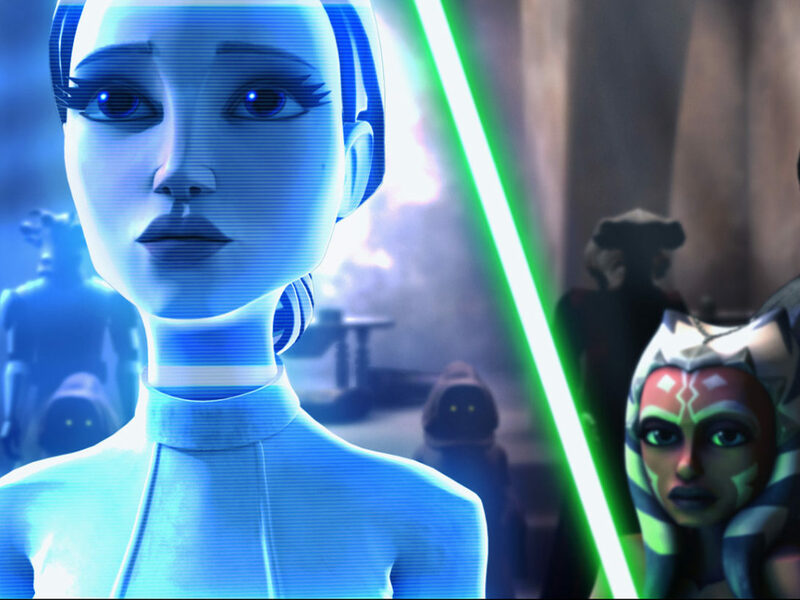 The two young Padawans are perfect foils for each other: Ahsoka, prone to recklessness yet also adept at pivoting when a plan fails and devising a new, unconventional solution, has learned much from her master, while Barriss is more measured like her calm and even-keeled mentor, a studious learner who is thorough in planning and preparedness. 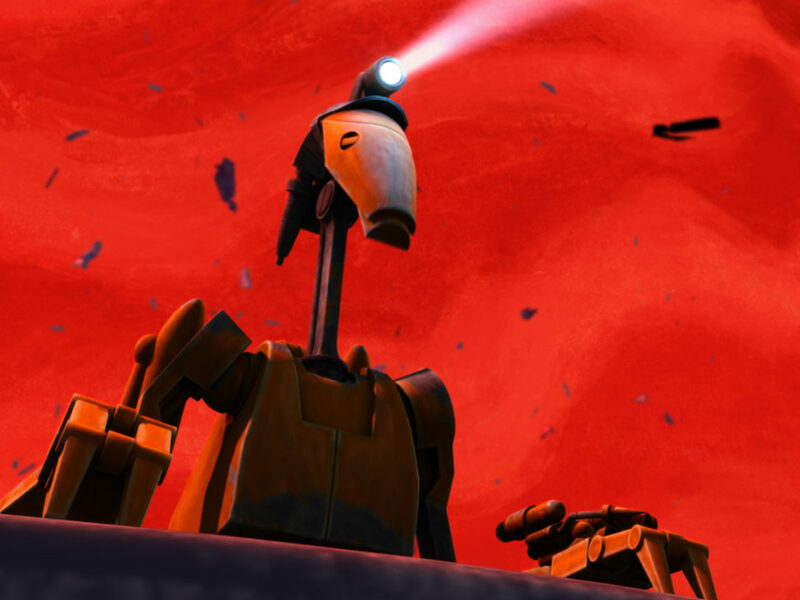 As a team, these qualities allow Ahsoka and Barriss to overcome the odds and not only fulfill their mission to destroy the factory from the inside out but continue working together even after they’re buried alive. 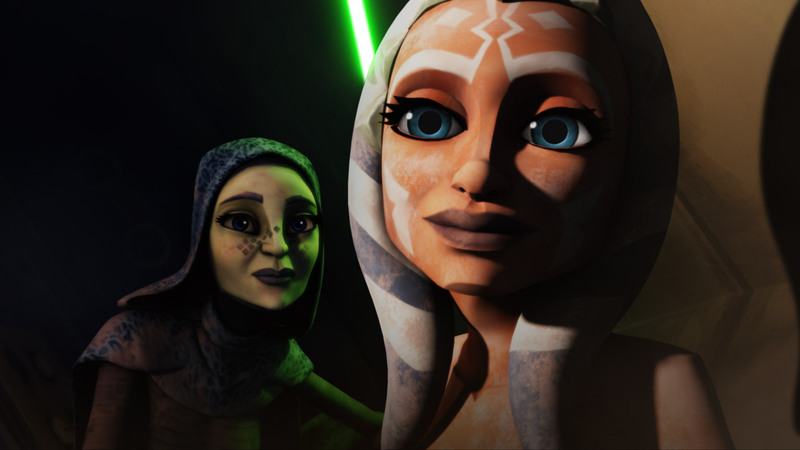 If this is your first time watching the series, you’re in for a shocking and fascinating arc for the friendship forming here between Ahsoka and Barriss. It’s hard to make out, but the nose art on Luminara’s gunship shows a clone trooper giving Count Dooku the boot.